Love your framing, so inviting and colorful, and warm! Nice texture; like the bark. 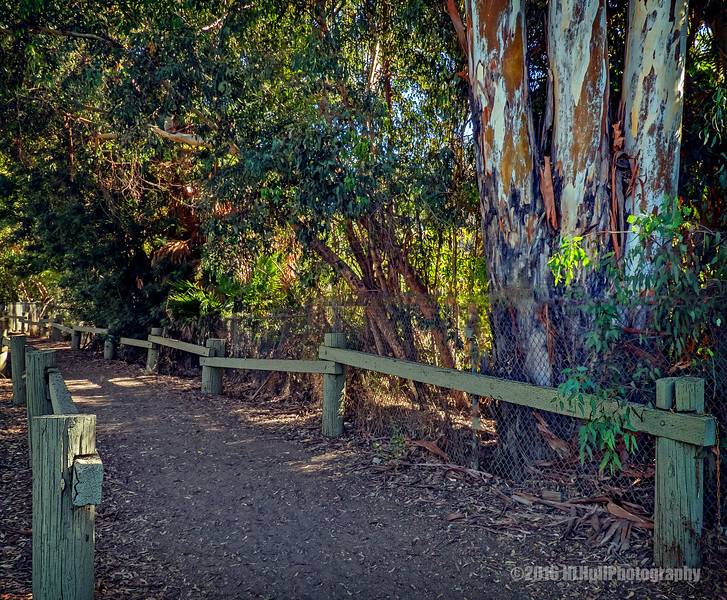 Great leading line--makes me want to take a walk along that trail! I love eucalyptus in all their strange beauty. This light shows the great colors in the bark.